That’s right! The Balloon Fiesta is coming up and we are excited to offer a deal especially for the occasion! 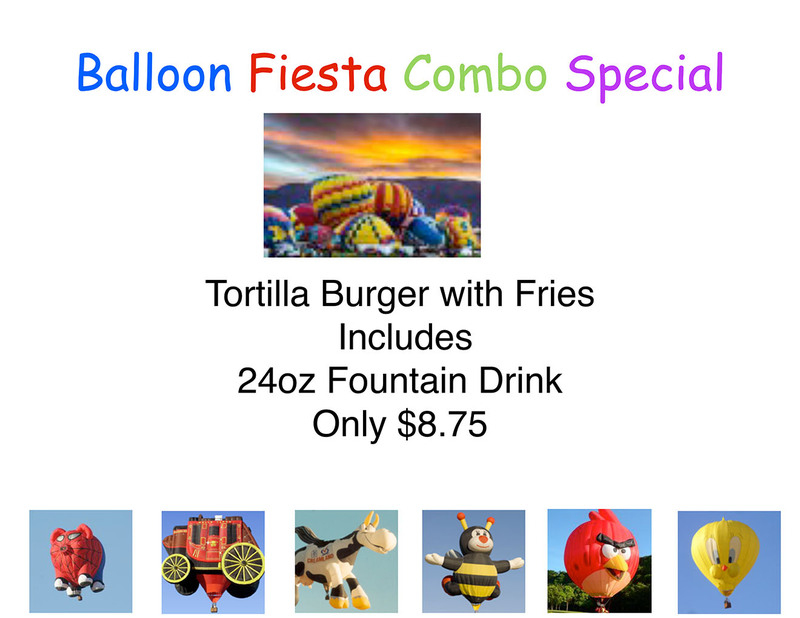 The Posa’s Zafarano Balloon Fiesta Combo Special will be offered at a low price of $8.75 for our fantastic Tortilla Burger and fries! American and Mexican cuisine combine to make a fantastic burger that you will not want to put down. 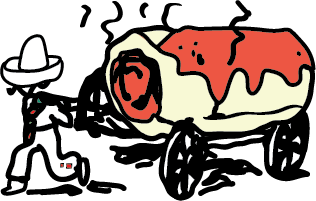 Hot 1/3 lb all beef patty seasoned to perfection, fresh cut lettuce, luscious ripe tomatoes, sweet onions, warm savory chili, cheese and home made guacamole all wrapped up in a warm homemade tortilla for your eating pleasure. With a side of hot french fries and a 24.oz Pepsi all for only $8.75! What a steal! So come get ready for the Balloon Fiesta with the most delicious deal in town at Posa’s on Zafarano!